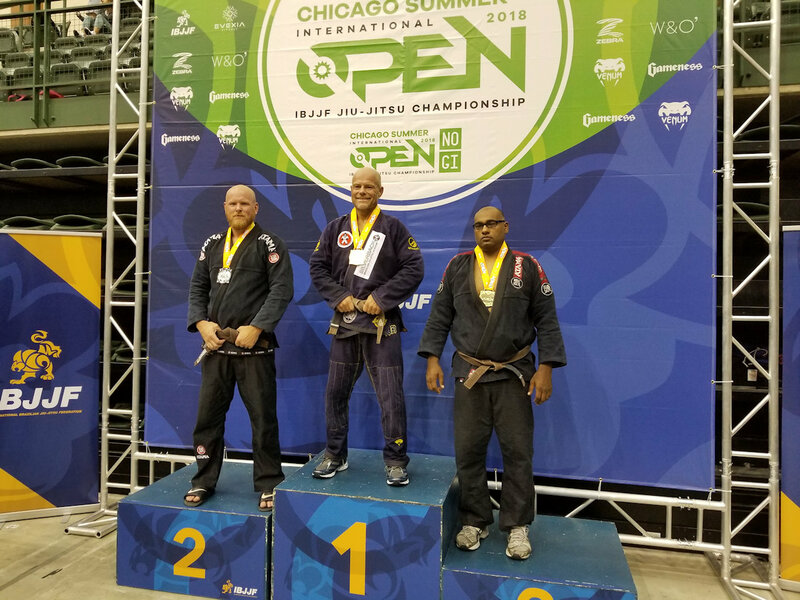 In preparation for the upcoming IBJJF Masters Worlds later this month I signed up for the Chicago Open at Masters 5 medium-heavy. As the date drew closer it became apparent that no other Master 5 competitors were signing up. 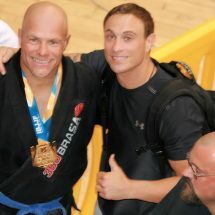 My teammate, Scott Armes, was signed up at Masters 4 medium-heavy along with one other competitor. We would each just have one match as we would not fight against each other as close teammates. I wanted to get more matches to help me get ready for the Worlds, so my only option was dropping down another age group to Masters 3. 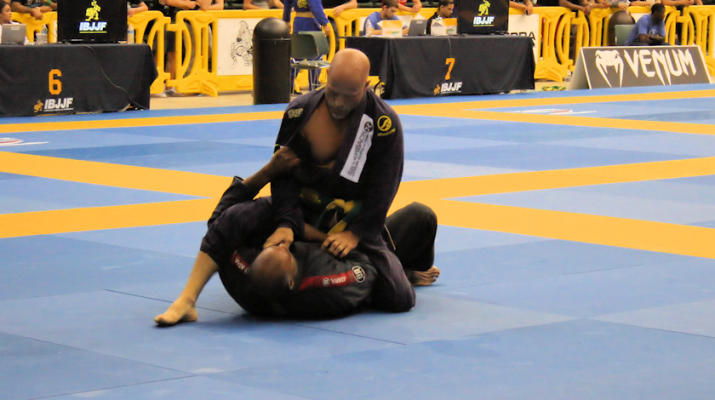 With no medium-heavy, heavy, or super heavy weights registered, I had to go to the ultra-heavy (unlimited) division. It was a three man bracket, so I knew I would probably get two matches there and then hopefully a couple in the absolute division later that day. 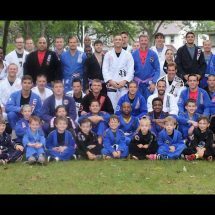 Thankfully I did get two good matches at weight and won both by points. 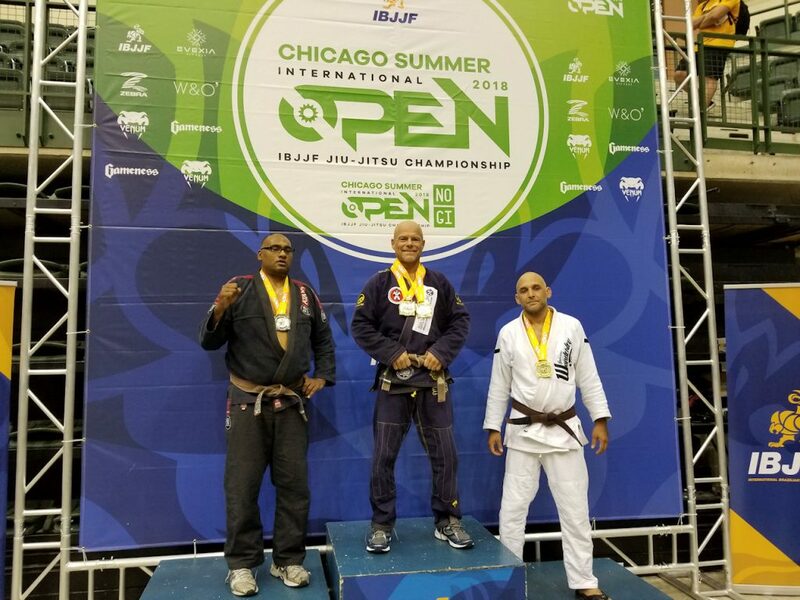 The open/absolute division went well also. I drew two matches and won both to finish with double gold for the day! Hopefully I am prepared for the worlds in 11 days! I am always thankful for great teammates and my coach. 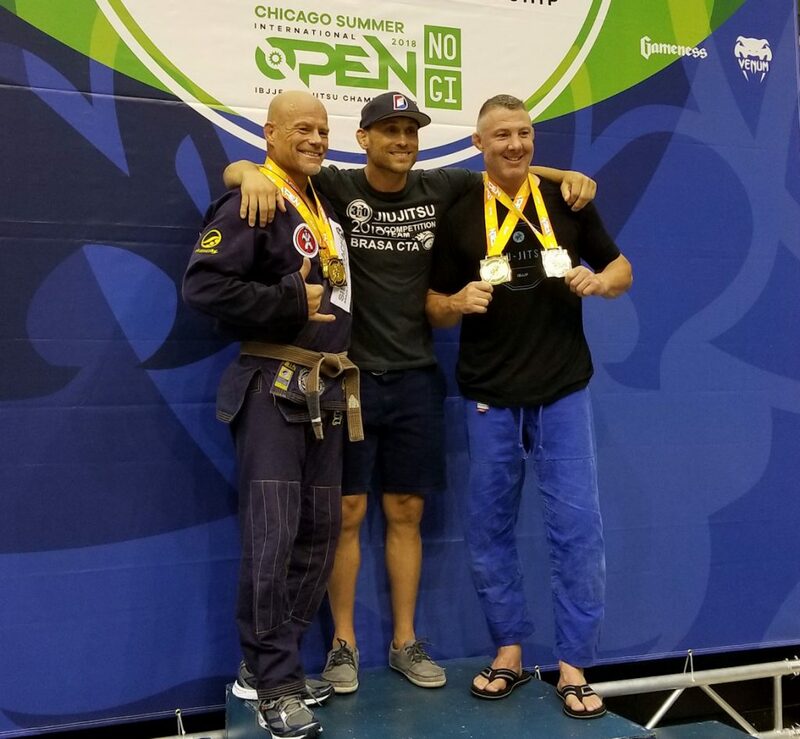 It was great to get a photo with my friends: coach Scott Huston and fellow brown belt Scott Armes, who also earned double gold today!